Other than the death of a family member or loved one, a divorce is the most difficult life event that any of us is likely to face. You need help from the best family lawyer in Toronto. We are leading Toronto area divorce lawyers who offer you dependable representation through such a difficult time so you can reach a fair and agreeable resolution, whether through negotiation or – if necessary – litigation. Most divorces are negotiated settlements and fewer than 10% end up before a judge at a trial. We are divorce lawyers serving the areas of Richmond Hill, Markham, Newmarket, North York, Thornhill, Toronto, Aurora, Maple, Unionville, Vaughan, Woodbridge, and surrounding areas. We believe in protecting you and your loved ones in the challenges you are facing as your marriage or common-law relationship ends. We work with you on everything, from determining what you want regarding child custody and access, spousal and child support, the details of your separation agreement, and concluding the negotiations on favorable terms to obtaining your divorce order. You can trust us to help you reach the important legal decisions you must make about the well-being of your family. We are committed to this because family is important to you and me. Our Goal: Help You Move Forward With Your Life. If physical or mental cruelty can be demonstrated. If adultery or mental or physical cruelty can be proven to a judge’s satisfaction, then a divorce may be granted in less than one year. But the bar to prove adultery mental or physical cruelty is very high in Canada, which is why the vast majority of people elect to use “living separate and apart” as the reason for divorce. Divorce can be a challenging process. You want a divorce lawyer in your corner who is experienced in both negotiating a settlement or, if that fails, litigating the outcome. 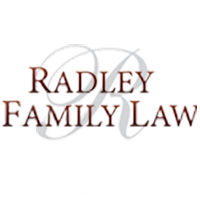 The family law lawyers at Rachel Radley Family Law are noted authorities in child custody and access, child support, spousal support, separation agreements, property division, restraining orders, and other arears of family law. We at Rachel Radley Family Law have special insight into Ontario’s Family Responsibility Office (FRO), to help ensure that the child support and spousal support owing to you gets paid. We also have insight into how to impute income for those who are self-employed or have off-shore assets for the purposes of determining child and spousal support. Our priority always is to protect your interests. We keep you informed and ensure that the process is transparent so that we can help you make the best decisions possible in very trying circumstances. Each family law lawyer at our firm addresses your questions and concerns to bring about a resolution in a way that allows you to move forward with your life. There are distinct steps and a definite process to obtain a divorce. A legal separation comes first, establishing the terms of your new relationship with your spouse. In the separation agreement, the couple outlines the terms of property and asset division, custody and access provisions for any children, spousal and child support, and any other issues between you and your former partner. If matters cannot be resolved through negotiation, mediation, or arbitration, we will represent your interests aggressively in court. But we always try to avoid this time-intensive, expensive and difficult route because it can be traumatizing and emotionally stressful for both the couple and their children. We have devoted our family law careers, expertise and knowledge to helping people in need, working effectively and efficiently for you. You can rely on the family law lawyers at Rachel Radley Family Law to help guide you in establishing what you want and need from the end of your marriage or common-law relationship. Then, we use that information to advise you on the best course to follow. We have your back.